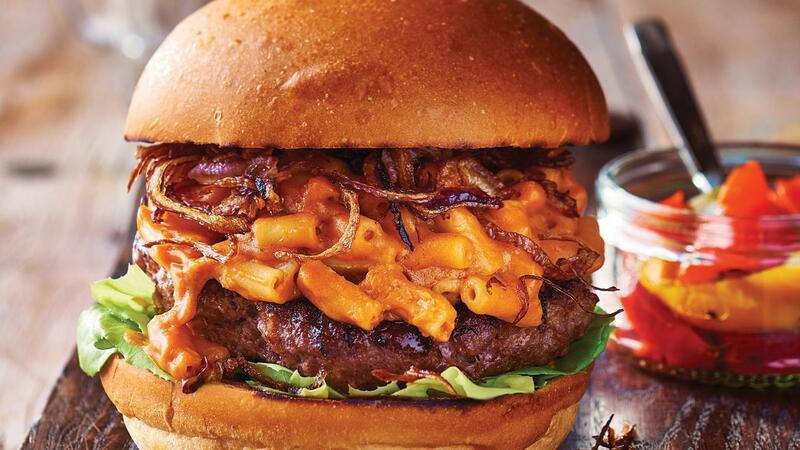 Whoever thought that creating a mac 'n' cheese burger is a bit crazy. We love crazy, crazy is good. Really good! Cook macaroni until al dente. In a saucepan heat milk until simmering. Add KNORR Roux and remaining ingredients, then bring to a boil until thickened. Add macaroni back to pan. Set aside. Combine beef and sausage mince, onion and KNORR Mixed Chilli Puree into 10 portions, then cook.